It is essential to maintain car interior, exterior, and engine simultaneously. However, a car engine is a complex yet important component and its lack of maintenance can greatly damage the vehicle. Car engine and mechanical components are usually hard to find in good condition. People either go to car spare parts markets like Bilal Gunj or leave their cars at the mercy of local mechanics. It has been often seen that mechanics offer used engine parts. Some mechanics with links can procure new ones but at expensive rates. To resolve this issue, PakWheels offers a variety of engine and mechanical products. On this page, you can access a variety of car water pumps for your vehicle. These items have been further classified in terms of brands and car make. For instance, you may need Toyota Corolla water pumps or Suzuki Cultus water pumps. All these products have been curated on the online auto parts store for the customer’s convenience. There are different companies to choose from within the engine parts. In car water pumps, names like GMB stand out for making durable products for almost all vehicles. When replacing the water pump of your car, you must think long-term and prioritize quality. 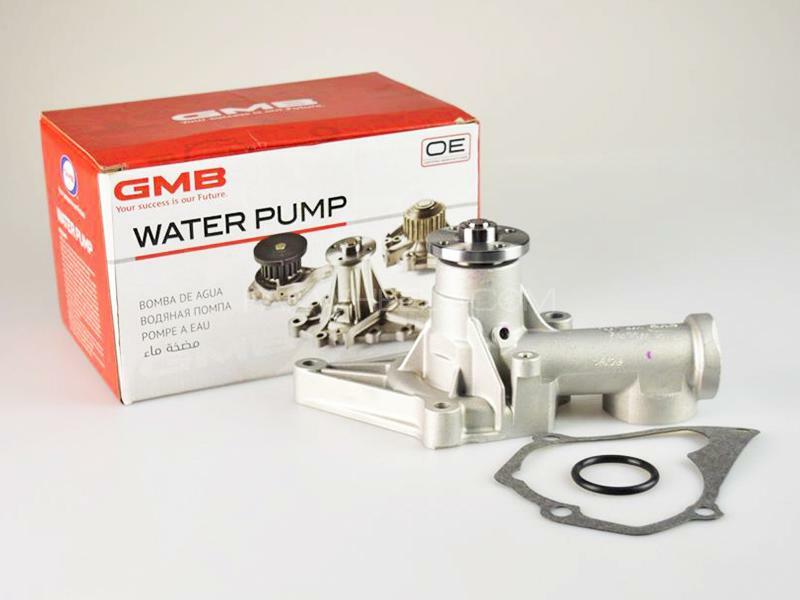 You can easily find GMB water pumps on PakWheels auto parts store in engine accessories and spare parts category. Customers can choose the required brand and car make/model/year of water pumps and spare parts. There are numerous options on the auto parts store but one should wisely select the required item. Buying car engine parts can be tricky and one should be completely aware of his or her car in this regard. To be completely sure, you can look up your car make, model and variant on the registration papers. This will help you in buying the right engine water pumps and accessories. You can also buy car water pump spare parts and water pump accessories from PakWheels. We offer a variety of engine water bodies for different car makes and models. Inverter motor, water body and a water bottle of different vehicle models have been arranged on the auto parts online store. There are multiple offers on these engine water pump accessories for your car. With these offers, you will not feel the need to rely on your mechanic for the new engine water pumps. PakWheels provides free shipping facilities and multiple discounts on the auto parts products. If you order engine water pump accessories now, you can avail free shipping and the products will be delivered directly at your doorstep. We believe in providing convenience to our customers in the online shopping experience. You can go through our forum and blogs to explore the buying guide for engine spare parts and accessories.